I am writing to inform you of an action that is required on behalf of the community to safegaurd our ocean and our general safety and health. On November 8, 2018, construction workers who are building the Hū Honua biomass plant in Peepekeo, Hilo, Hawaii, contacted me regarding their witness to the intentional chemical dumping directly into the Bay from the worksite to learn of potential avenues of redress. They contacted me again on November 9th to implore me not to go surfing because Honoliʻi Beach is located seven miles down current from where the chemicals entered the ocean. 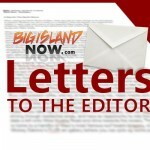 Contrary to Warren Leeʻs statement regarding an accidental spill, Workers estimated that 60-90,000 gallons had been released by Friday, November 9, 2018. On Saturday November 10, 2018 there was a Surfing Competition and following a surf session on Veterans Day, November 11th, after several hours in the water upon returning home, I personally experienced diarhea, stomach cramps, nausea and blurry vision. The nausea continued for 5-7 days and I lost about 4 pounds. As of last week I have learned of at least six others from Hilo and Kona, who experienced similar symptoms following their time in the water. The Water Quality and Enforcement Divisions of the Department of Health informed me that we should go to the doctors and that there is no cause for water quality testing unless a pattern can be established through medical reports. I am informing the public of the potential impact and imploring them to report any illnesses to Jason Chan or other medical practitioners at Hilo Urgent Care. If individuals choose to go to their primary care or other medical establishments please have that provider share the report with Jason Chan, P.A. 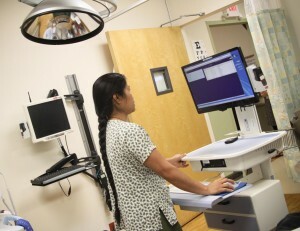 at Hilo Urgent care at trekhawaii@gmail.com. It is important to document a pattern of illness in an attempt to track the source and implore the state agencies to monitor the water quality. The impact to the environment from the biomass plant is unknown as there has been no assessment. These pollutants have been emitted prior to the functioning of the power plant and therefore the potential impact is far greater. If the source of illness is not from the biomass plant we could potentially learn of other sources and seek appropriate address. If you have any further questions you can text or call me at 808-854-3615. 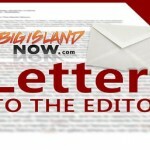 LETTER: Why Are Residents Leaving Hawai‘i?